I’ve written before about my fabulous internist, Dr. Jennifer Ross, and her knack for popping my bubbles. Well, she’s still at it. Yesterday she was conducting my annual physical, and i leaped off the scale at 146 pounds, prancing around and demonstrating that i could again wriggle into all those old Dockers in my closet. When i protested that i wanted to get down under 140 so as to lose the rest of my belly, she explained that in the first place a man my age is supposed to have a little belly owing to normal fat redistribution, and in the second place, my BMI should not be any lower, considering that i need to keep some fat to draw on for energy when i get sick. But then stopped by Belly Burger on the way home for a pork belly sandwich and, wanting some dessert, grabbed a Pomme d’Amour at Knead Patisserie. And then on the following day had a banana and a pint of chocolate ice cream so as to get myself back up to a healthy 148. 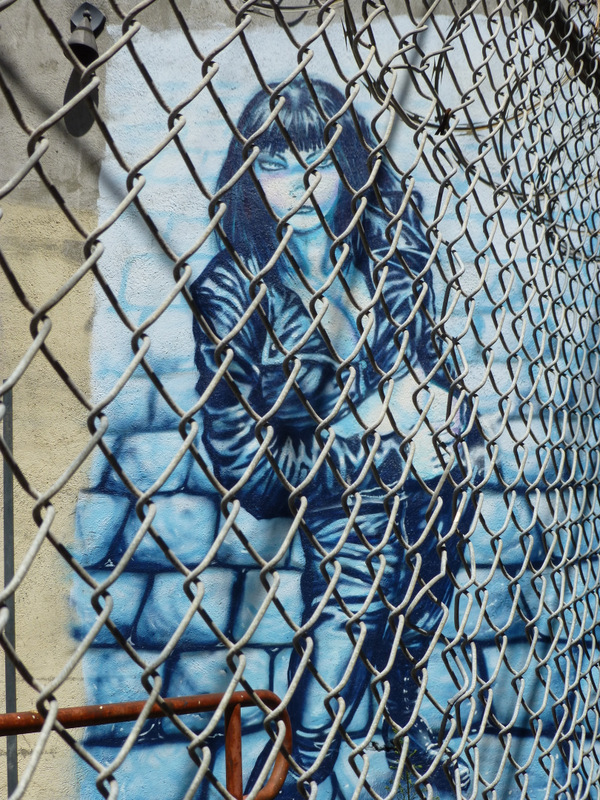 And hey, she’s not fat, but here’s an interesting Balmy Alley mural.